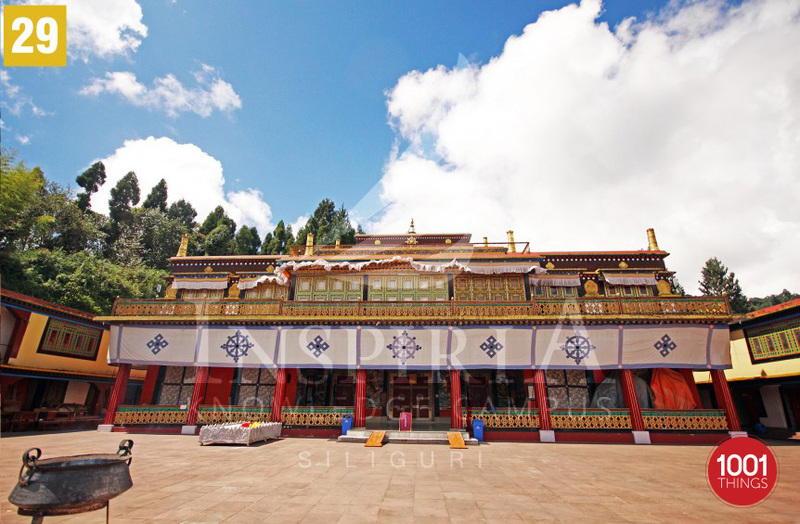 Rumtek also called the Dharmachakra Centre, is a Tibetan Buddhist monastery located in the Indian state of Sikkim, 24 kilometers away from the capital Gangtok. 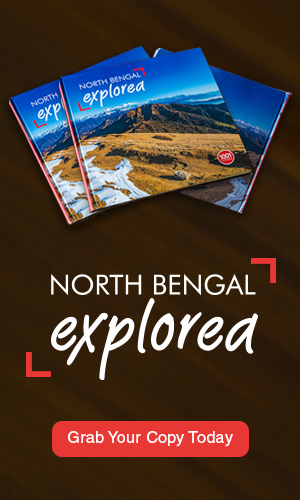 Rumtek is situated at an altitude of about 5800 feet. The monastery is one of the most important seats of the Kagyu lineage outside Tibet. 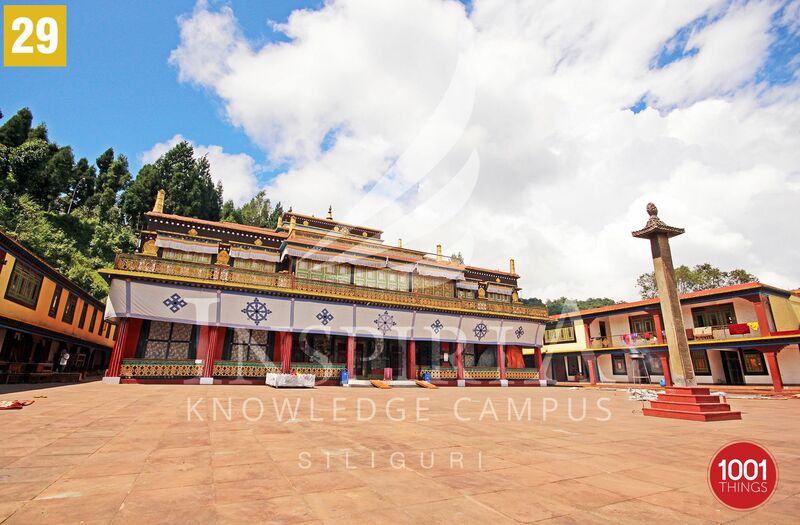 This monastery complex embodies the vision and aspiration of the Sixteenth Karmapa, Rangjung Rigpe Dorje, to establish his seat-in-exile in order to spread the teachings of the Buddha throughout the world. Originally built under the directios of the 12th Karmapa Changchub Dorjee in mid-1700 AD, after [Ralang Monastery,first] and [Phodong Monastery,second], Rumtek served as the main seat of the Karma Kagyu lineage in Sikkim for some time. The monastery is currently the largest in Sikkim. 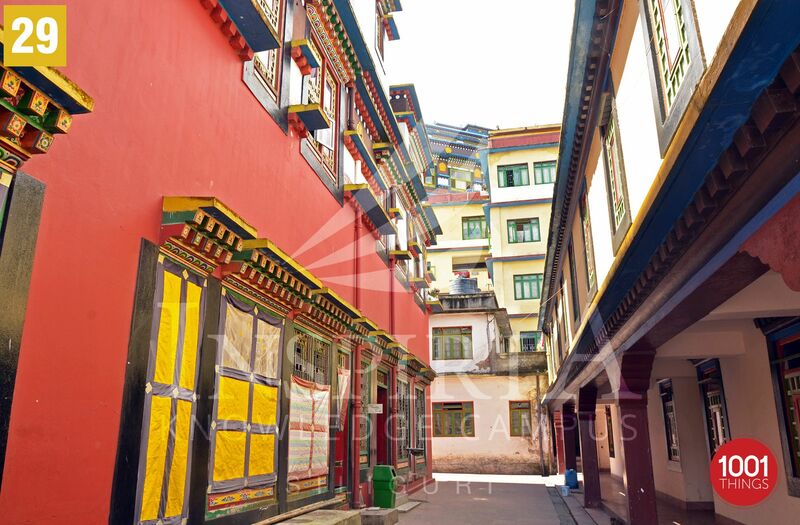 It is home to the community of monks and where they perform the rituals and practices of the Karma Kagyu lineage. A Golden Stupa contains the relics of the 16th Karmapa. A building just opposite to the Karma Shri Nalanda Institute for Higher Buddhist Studies now houses the Golden Stupa, which contains relics of the 16th Karmapa. The Indian Army stands guard outside the door. Inside a lone monk chants prayers, while a recorded chanting plays on a small Walkman. The Golden Stupa can be seen through a glass. During summers and winters two most important festivals are celebrated in the Rumtek monastery. In the fourth lunar month of the Tsurphu Tibetan calendar either the Guru Rinpoche or the Vajrakilaya Drupchen take place. 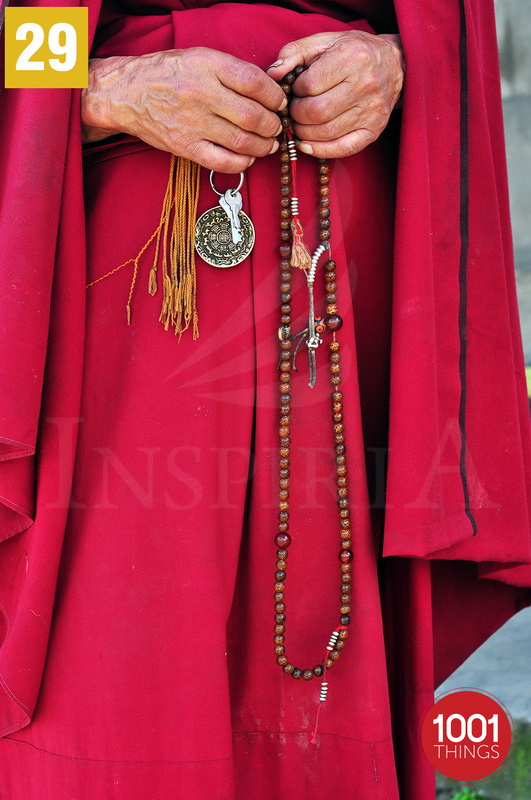 The practice of these events lasts for ten days and followed by the traditional sacred Lama dance of the eight manifestations of Guru Padmasambhava, Yidam deities and other protectors. At the end of the lunar year in the 12th month a ten day practice for the festival of the Mahakala Protector is held here. This is followed by the traditional sacred lama dance of Mahakala on the 29th day. 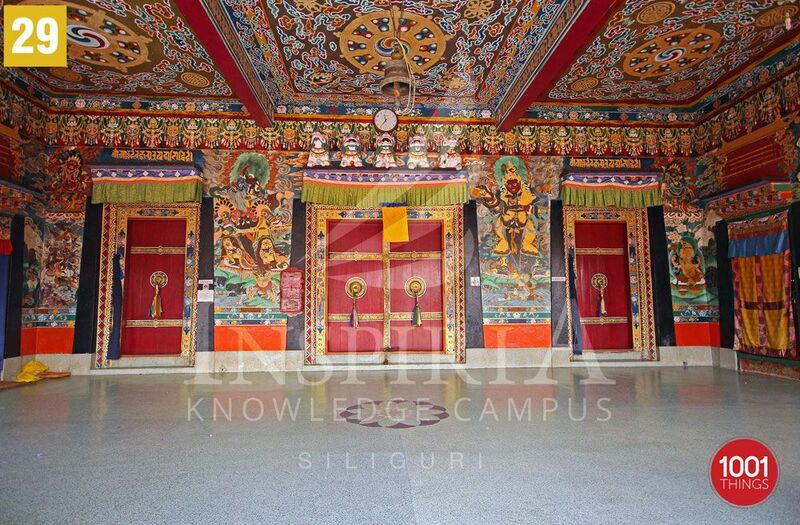 No doubt, Rumtek monastery is one of the grandest and most colorful monasteries in Sikkim. But it will offer much more when it gets back its glorious past!